This website uses the Bridge Universal Login system. You are invited to login using your Bridge login. • Change your store information that appears on the Find a Store page; the general public uses this to find your store. • Access the Image library, which holds 1,000's of photographs of our products that you can use for your business needs. • Access the Advertising Library, which offers you +22 quick and easy advertisements for your business use. Please click here to see a glossary of terms that relate to DeVine's products. Are you a current DeVine retailer who would like online access / purchasing priviledges? Apply for a login and password by clicking here. We encourage each person to have their own login and password. If you are unsure if your company has an online account with us, sign up. Each person should have their own individual account with us. Not a DeVine customer, but would like to be? Contact your local representative to open an account with us. 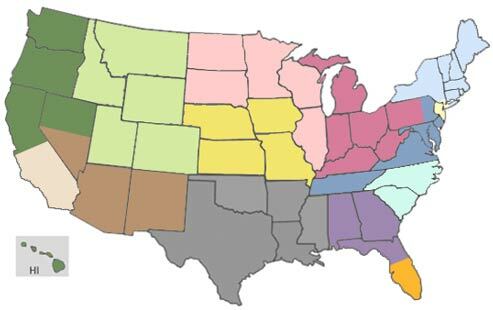 Click here find your local DeVine Corp Sales representative and apply. Click here to see a list of showrooms. Solarek Studio, the company which maintains our website, can 'bridge' into your website all of DeVine's online products. 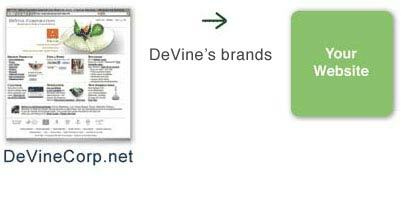 Instead of individually adding items, we add 6,500+ DeVine products to your site. The product images, prices, and descriptions update themselves automatically. This saves you time, personnel, and money to maintain inventory. The visual appearance of your site remains the same. To learn more, visit the about DeVine Bridge page.